If you’re an IPL T20 fan, you probably want to know everything there is about the league. If you’re not, and just beginning to be interested, you probably want to know what went on until now. Either way, we’ve got you covered. Looking for a detailed analysis or a quick recap, go ahead and learn everything you need to about the IPL, Score to best offers to buy tickets. Show your team some love and buy IPL team merchandise with amazing deals from Amazon. Form your own team, win points and prizes of up to 15Lakhs. 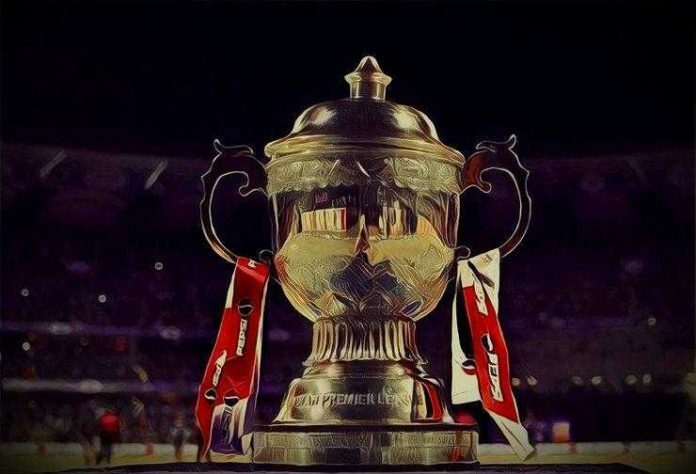 Book IPL 2019 tickets with great offers from BookMyShow! When the stakes are too high, and the excitement is uncontainable and supporting your team from the other side of the TV or just following the IPL score just doesn’t seem good enough, you have to find a way to be on the same field and be a part of history in the making. Hurry up and book your IPL final tickets before it’s too late. Hardik Pandya – Doing absolute justice to the term ‘All- Rounder’, Hardik Pandya is both a hard hitter and fast bowler. The most notable skill of this exuberant, confident man though, is the way he soars under pressure. Jasprit Bumrah – Discovered by John Wright and led by the mad scientist of cricket, Lasith Malinga, Jasprit Bumrah’s Yorkers are both a sight to watch and watch out for. Kieron Pollard – The man has left us no space for doubt. With 420 runs and 10 wickets from 18 matches in 2013 IPL, 419 runs with an S/R of 163.67 and 41 from just 17 balls in the qualifier followed by 36 from 18 balls in the final, he’s the rock Mumbai Indians pull out for a banging finish. Rohit Sharma – The first batsman to strike two double centuries in the ODIs, played an integral role in his former team, decan chargers, winning the title in 2009, also led the Mumbai Indians into a victory for two years as the captain and made some of the best IPL scores. But no statistics come close to translating the grace and elegance this man unveils on the pitch. Krunal Pandya – Often overshadowed by the other more famous sibling, the other half of the Pandya duo is heavily tipped to be a revelation this IPL 2019. Capable of putting in all-rounder performances, Krunal is a certain starter and one of Mumbai Indians’ most complete players. Dwayne Bravo – ‘Caribbean swagger’ is a word thrown around quite frequently while describing this powerhouse batsman, well-paced bowler and most knowledgeable player of IPL know how. Suresh Kumar Raina – This left-handed batsman is a treat to watch and part-time off-break bowler too. Retained ahead of the auction for 2019, Raina is the master of finishing games. Shane Robers Watson – This all-rounder can attack the ball, defend in grace, field, and bowl. With over 100 games of experience in the league, its only natural CSK is counting on him for some firepower. Imran Tahir – The bowler shot to number one position after picking 18 wickets in a single season of IPL score and is adored for his customary sprint after a wicket and extremely positive attitude. 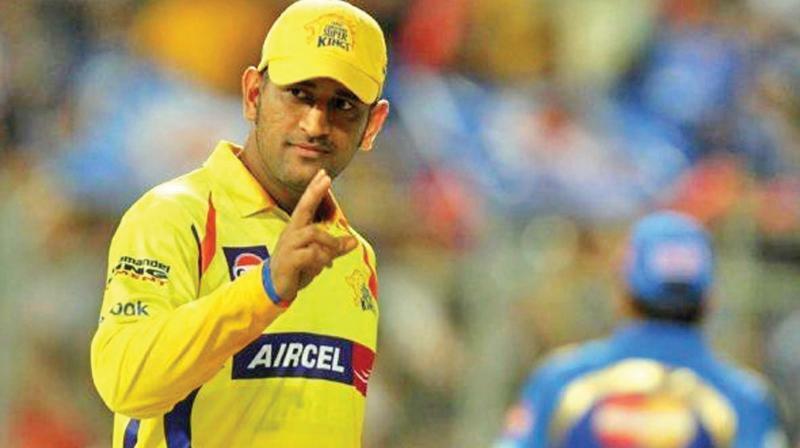 MS Dhoni – A wicketkeeper and batting powerhouse most applauded for his tactical game that only seems to get stronger in the face adversity, Dhoni has led Chennai Super Kings to two victories in 2010 and 2011 and four runner-up finishes. Ambati Rayudu – Rayudu is on course to cement a spot in India’s World Cup starting line up. Crowned as IPL 2018’s highest run scorer with 602 runs (century) in 16 innings, Rayadu is tipped to replicate last season’s success in the yellow jersey! Yusuf Pathan – Beginning his journey at the Baroda Under 16 Team, as a batsman and off-spinner, Yusuf Pathan secured his place in cricket through his Man of the Match performance in IPL, scored in 2008. Rashid Khan – This 18-year-old ‘million dollar baby’ claimed 11 wickets in 7 matches in Twenty20 2016. With a movie worthy backstory from war-torn Afghanistan, to winning the big bucks in IPL auctions, Rashid’s is journey is one, many are counting on. David Warner – Back after a 1-year spell of an international ban, Warner will be looking to reclaim his former glory of being the most successful overseas batsmen in the IPL cricket fandom. Despite being stripped of captaincy, the Australian batsman will be facing a make or break career performance. Chris Lynn – Many batsmen command respect, but there are only a few who summon fear. An attacker all the way, this fierce batsman was the most expensive purchase of Kolkata Knight Riders. Dinesh Karthik – His middle order and top order exploits are something to watch out for. With ample experience and skill behind the stumps and with the bat, Dinesh Karthik brings a unique and rare mix to the team. Sunil Narine – One of the most integral players of the KKR squad, with a purple cap ruling and stunning break bowling. Not only is he an excellent wicketkeeper, but Narine is also the Knight Rider’s leading run scorers with a huge 357 runs in just 16 innings. Andrew TYE – 13 wickets in 5 games and 7 sixes in one, Andrew Tye is an all-rounder and aggressive player who like to speed up the process. KL Rahul – Discovered through a tremendous performance in the Karnataka Premier League, KL Rahul is a player India has had consistently high expectations from and has yet never disappointed. This 21-year-old batsman with the right technique has a long way to go. Ravichandran Ashwin – Finishing 2015 as ICC’s top-ranked bowler and the No. 1 ranked Test all-rounder, for the second time in three years, Ashwin has been a revelation in the IPL’s third edition. He currently captains the Kings XI Punjab side in this edition of the IPL. Chris Gayle – Despite being a miss last season, Gayle has been in top form especially in the ODI series against England. This powerhouse might be exactly what Kings XI Punjab need if they intend to challenge for the title. Umesh Yadav – Son of a coal miner and an aspiring Police officer, Umesh Yadav’s most striking feature is his physical prowess. 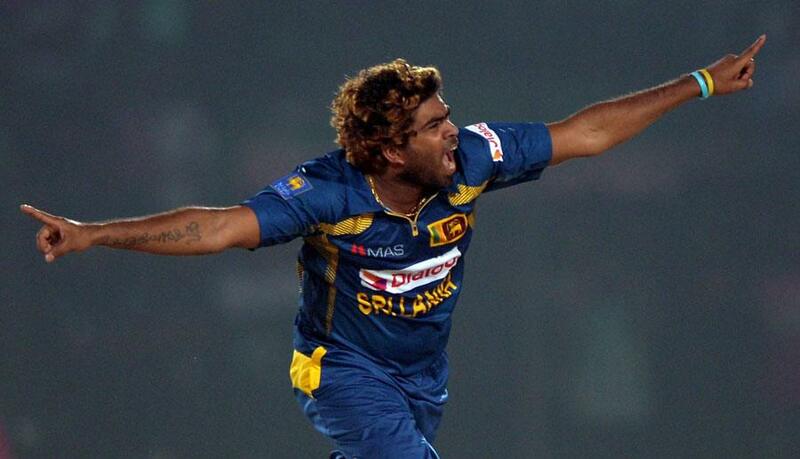 A fast bowler and batsman, this ‘stongman’ already has more than 100 wickets from ODIs and is an IPL score. Yuzvendra Chahal – This Haryana born was first discovered when he took 34 wickets in a U-19 match and has served as India’s permanent wrist spinner ever since. Brendon MC Cullum – A part of IPL since its inception, Brendon has previously played for KKR, Kochi Tuskers, CSK, and GL. And will now bring his wicketkeeping and explosive batting to RCB. 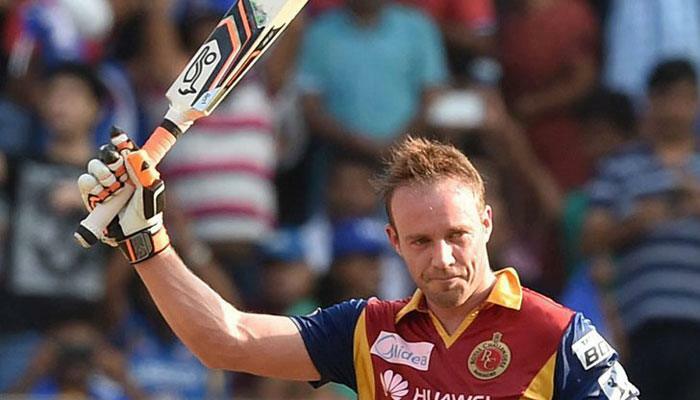 AB DE Villiers – A ‘360 degrees’ batsman, Villers can switch from classic batting to innovative strokes within seconds. The second player to be retained ahead of the player auction, he has delivered ‘the most power-packed knock’ in 2012 against Dake Steyn, for RCB. Virat Kohli – Ranked no.1 in ODIs, No.2 in Test Cricket, and No.3 in T20Is, and the Indian Cricket Team’s captain, Kohli is an aggressive player and does not apologize for it. Prithvi Shaw – This poised and composed player has led the under – 19 to World Cup glory in 2018 and is looking to make an impression as a top order batsman. Glenn Maxwell – A phenomenal fielder and an off-spinner, Maxwell delivered his best with David Millers for Kings XI Punjab. Gautam Gambhir – After playing for the Kolkata Knight Riders for 7 seasons and leading them to the IPL title in 2012 & 2014, Gambhir brings his left-handed batting skills, agility and flexibility in the role back to the Daredevils. Shikhar Dhawan – His agile fielding skills and powerful batting make a perfect pick for IPL. Have had previously played for Delhi Daredevils, Mumbai Indians, Deccan Chargers, Sunrisers Hyderabad and proving his worth in each, Dhawan is player that can be counted on. Rishabh Pant – This IPL 2019 season is a make or break period for Pant. After the ODI loss to Australia, the youngster will look to redeem his former worth and glory by firing the Capitals to new heights with his wicketkeeping and batting. Ajinkya Rahane – This calm, patient and determined solid Mumbai batsman has twice crossed the 500-run mark during his tenure with IPL. Ben Stokes – A player best defined as the effective fast bowler and destructive batsman, this English player in New Zealand born and was bought at a record price of 14.5 crores in 2008 by Rising Pune Supergiant. Jaydev Unadkat – Putting his best foot forward for the Rising Pune Supergiants in 2017, Jaydev claimed 24 wickets from 12 matches. This left-arm pacer from Saurashtra is a key player for Rajasthan Royals this year and is expected to defend some of the batsmen to make the best IPL score. Jofra Archer – With a promising first season in the IPL 2018 with an impressive 15 wickets under his cap, this all rounder will hope to recreate some of the same magic this IPL 2019. Orange Caps are awarded to Batsmen that have outperformed their peers and scored the most number of runs or made the highest IPL score. Purple Caps are awarded to bowlers who have put forward exemplary performances and claimed the highest number of wickets. IPL excitement begins much before the actual games. Most fans have watched the IPL auction live. If you’ve missed it though, here are the highlights i.e. the highest bid players in IPL history. Honorable Mentions – Kevin Pietersen at 9.8Cr, Irfan Pathan at 12 Cr, Rohit Sharma at 12 Cr, Dinesh Karthik at 13 Cr, and Shane Watson at 9.5 Cr. Dismissing Jesse Ryder, Sourav Ganguly, and Robin Uthappa, the “mystery spinner” delivered a comfortable 45 run win for his team keeping his team’s qualification hopes alive on this critical game in 2012. This brilliant hat-trick shot the unfavorable 96 for 3 into a quick 99 for 6 way into the 15th over knocking off the stumps for David Hussey, Azhar Mahmood, Gurkeerat Singh. This couldn’t give the team it’s much-needed win, but it was sure quite a watch. In a game that depended on 49 runs in the last five overs, PravinThanbe turned the game around dismissing Manish Pandey, Yusuf Pathan, and Ryan Ten. Only the first of his three hat-tricks of IPL from the very season, Amit Mishra claimed Ravi Teja, RP Singh and Pragyan Ojha’s wickets destroying whatever little chance the Deccan Chargers had of a victory and sent back batsmen that were expected to make the highest IPL score. His hat trick journey didn’t stop there, he took his second hat trick in 2011 and in 2013 he had his third hat trick. He is the only bowler who has a record of three hat tricks in the IPL history. Bowling Ankit Sharma, Manoj Tiwari and Shardul Thakur off the pitch, Andrew Tye awarded the Gujarat Lions a comfortable win by 7 wickets and himself an ideal IPL debut. Yuvraj Singh – The only bowler who claimed two hat tricks in a single IPL. Slapsgiving 2008: All seemed calm as the players were shaking hands in the healthy spirit of sportsmanship after Mumbai Indians and Kings XI Punjab match until Harbhajan slapped Sreesanth. Much was said and heard about the incident, although the actual reason for the outburst remains unknown. The Dean Gets Expelled: IPL was considered to be Lalit Modi’s brainchild, winning him praise and appreciation for bringing India’s favorite game in a brand new package. When a BCCI set up a disciplinary committee that found Lalit Modi guilty of rigging bids, it ended with him being expelled and banned from working on any projects involving cricket. Spot Fixing: Three players from Rajasthan Royals – Sreesanth, Ankeet Chavan, and Ajit Chandila were arrested for allegedly being involved in spot-fixing. It led to the suspension of all three players and an eventual ban in 2013. Tearleaders: South African Cheerleader Gabriella Pasqualotto started speaking up on the internet about the misdemeanor and inappropriate relations between cricketers and cheerleaders. Soon after the blogs started to garner attention, she was sacked and sent back home. 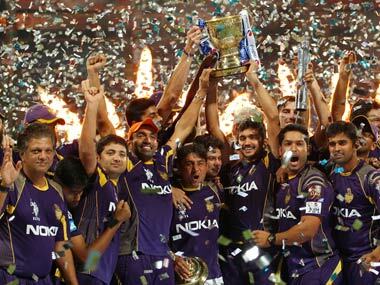 Find some interesting & unusual facts about IPL over the years here.